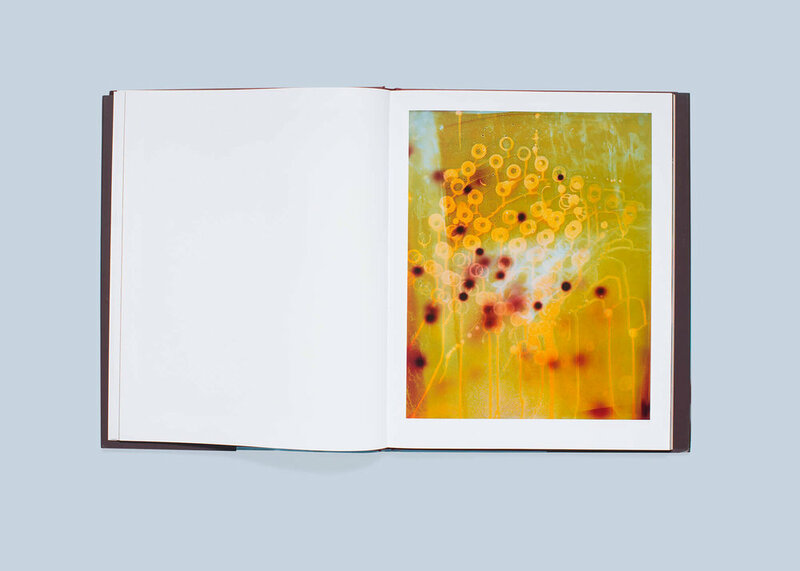 In this book Ewa Stackelberg has continued to work with photograms, images that emerge in the darkroom by placing various objects on a light-sensitive material which is then exposed to light. 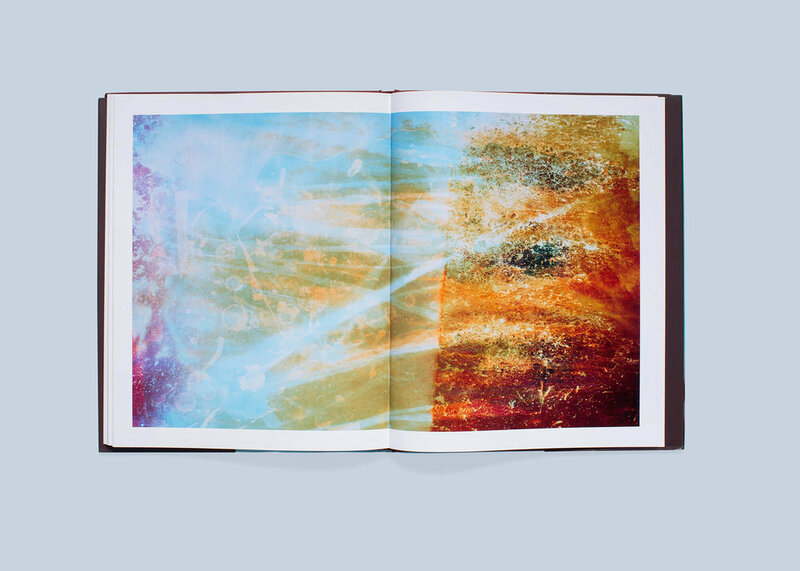 The pictures emerge in dialogue with chance, depending on how the chemicals and sometimes an object react to light. It is an old technique used by photographic pioneers such as Anna Atkins who in 1843 created photographic illustrations with the help of Cyanotyp, a method that gave detailed photograms in a range of blue colours. Later, artists such as August Strindberg, Man Ray and László Moholy-Nagy used the technique. It is photography in its original form, a counterpoint to the digital evolution. It is like a dialogue between the unconscious and the artistic material. Suddenly there is magic. Suddenly another world appears from something as concrete as soil, intestines, leaves, water and clay. I have always been curious about projects with an uncertain outcome and have experimented with photographic techniques.